Kesha is a name, but who is she and what does she look like? In this exhibition, artists produce works exploring black femininity, ethnicity, identity, and stereotypes. Kesha is visible, yet invisible. She is everywhere and nowhere. Discover Kesha. Curated by Shawana Brooks and Lydia P. Stewart. Featured artists: Rhonda Bristol, Glendia Cooper, Dania W. Frink, Jovita Harper, Marsha Hatcher, MK Hollowell, Carla Jones, Erin Kendrick, Traci Mims, Princess Simpson Rashid, Crystal Rodriguez, Tiffany Rodriguez, Richlin Ryan, and Sosha Thumper. Artwork includes photography, sculpture, videography, textile art, 2D art and more. 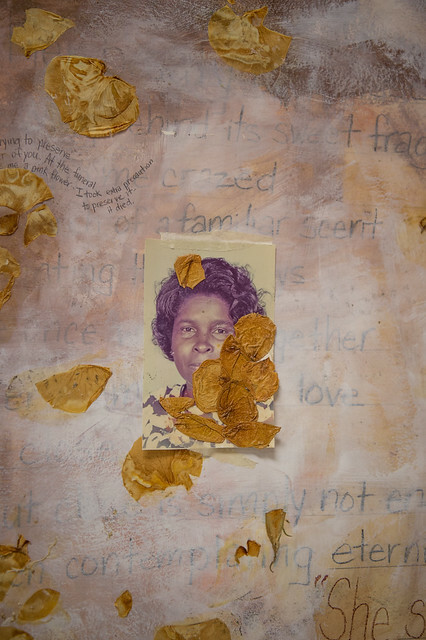 Read about curator Shawana Brooks' inspiration for this exhibit. View First Coast News, The Chat Monday February 6: Shawana Brooks and Traci Mims. Partners - The Art Center of Jacksonville; Cathedral Arts Project; Office of the Mayor, City of Jacksonville; City Year Jacksonville; CoRK Arts Studio; The Cultural Council of Greater Jacksonville; Downtown Vision, Inc., Duval County Public Schools, Florida State College at Jacksonville, Performing & Visual Arts, Jacksonville Cultural Development Corporation, Jacksonville Fencing Club, Jax Youth Poetry Slam, Museum of Science and History, National Park Service, The Performers Academy, Regions Bank, Ritz Theater and Museum; and University of North Florida, College of Arts and Sciences.